Showing: “New Classics” @ Galerie C.O.A. At the end of last month, Galerie C.O.A. in Montreal opened up a group show featuring artists who took inspiration from artistic movements or individual masters of the past, albeit with their own contemporary take on things. 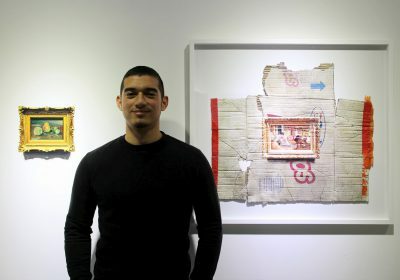 Curated by Sasha Bogojev, the exhibition included work from Eleanor Mccaughey, Pablo Benzo, Ted Pim, Erkut Terliksiz, Emilio Villalba, Sean Norvet, Kathy Ager, Julio Anaya Cabanding (seen above), Doping-Pong, Aldo Sergio, and Mathieu Cherkit.